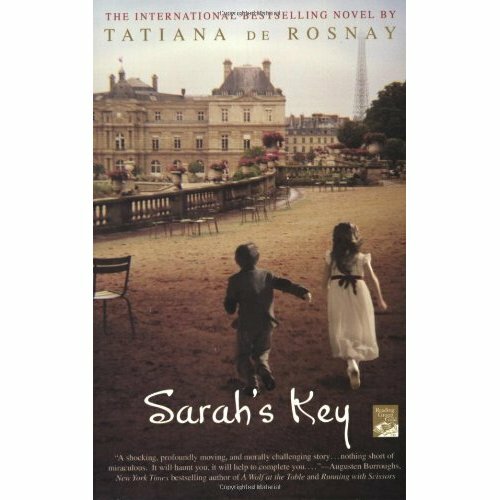 The Muse and Views Bookclub met at Beth's home to discuss Linda's choice Sarah's Key by Tatiana De Rosnay. Present were Beth, Betty, Carla, Colette, Janet, Jolene, Linda, Michèle and Shirley. Beth had some delicious cheeses and in honour of France, "deux petits gateaux". Thank you Beth. The novel tells the story of a young girl, Sarah and her family who are caught in the roundup of Jews in Paris in July 1942 into a Vélodrome and then to camps outside of Paris. The second story of the novel is about an American journalist, Julia who researches the roundup of Jews and discovers a connection to her husband's family. There was consensus about the worth of this novel, all enjoyed the book and this has not been the case in the books read this year. Several of us found it very compelling and read it in one sitting. We all felt that despite the tragedy that is exposed in this story, the book is well written and was easy to read. The flow between the past and the present is well done and many felt that the author timed the change from the Sarah's story during World War II and Julia's story in the present to be excellent. Another consensus was that a novel that reveals a historical event that none of us had read or heard of previously adds to our knowledge and many enjoyed the book because of this. A Case Study about the Vélodrome d'hiver Round-up on "The Online Encyclopedia of Mass Violence" reveals the horror of this event and shows that Ms. De Rosnay's account is quite accurate. Many were surprised by the active participation of the French government and police in the horrendous activities of the Nazis. We all felt that the characters were well developed, we could visualize them, even those that did not come up often in the story such as Julia's sisters-in-law. Michèle even described an image of Bertrand, Julia's french husband, head held high, white scarf draped around his shoulders, hair a bit long with a lock of hair on his forehead, charismatic but also haughty. The only negative comments about the novel is that many of us felt that some incidences were too contrived, coincidences too frequent and unnatural. For example, her abortion was schedule on the anniversary of the Vel'hiv roundup, July 16th. Some of us felt that the ending when she meets with Sarah's son, George in New York and the obvious attraction was too much of a coincidence that they would both find themselves in New York, both divorced. This was one of several novels we have read in the past two years that take place during World War II, Suite française, Those Who Save Us, The Guernsey Literary and Potato Peel Pie Society and La's Orchestra Saves the World.